This contest is open only in India from 1st March 2019 to10th March 2019 and applicable only to persons who have attained 18 years of age. The terms and conditions mentioned in this notice are the Participation Rules (“Rules”) and apply to participants participating in the Contest. By participatingin this Contest, the participant agrees to be bound by these Rules. Participating in this Contest is free of cost and no charge forparticipating in this Contest is imposed on the participant. Participation is fully voluntary and by participating in this Contest, you declare thatyou are the owner of and have the right to use the Image/Photograph/Portrait/ Video/ Trade Mark etc. (collectively known as Entries) shared/submitted by you. Participants hereby agrees that Tata Steel (and third parties authorized by Tata Steel) may make any or all Entries available in their publications and on their websites and any other media, whether now known or invented in the future. You assign the title/ownership of the Entries to Tata Steel and grant Tata Steel (and third parties authorized by Tata Steel) a non-exclusive, worldwide, irrevocable license (for the full period of any rights in the Entry) to use, display, publish, transmit, copy, make derivative works from, edit, alter, store, re-format, sell and license/ sub- license the Entry for any purpose (what so ever). Participants will be notified through email once their entries get featured on our website. Multiple entries shall be allowed. Participants who do not comply with the terms and conditions of the activity shall be disqualified at the sole discretion of Tata Steel without any notice to the participant. However, in this case Tata Steel will not be liable to return the entries already submitted by you in past. Tata Steel will not be responsible for any incorrect details provided by any participant and/or delay in receipt of communication and/or non-receipt of communication for any reason whatsoever. Employees of Tata Steel and their family members are not entitled to participate in this contest. Tata Steel reserves the right to change the terms and conditions of this contest, including extending, withdrawing, or discontinuing the same without notice, without assigning any reason, at its sole discretion and without any liability. Tata Steel reserves the right to moderate the content posted by participants and may decide to disqualify/declare ineligible/not publish certain entries without providing any reason or justification for the same.Tata Steel does not guarantee to use or otherwise make available any Entry. Tata Steel may, in appropriate circumstances, and at its sole discretion, reject, edit, remove or disable access to Entries that appear to be legally or otherwise problematic e.g. infringe the copyright or other intellectual property or privacy rights of others, are defamatory etc. or for any other reason. Participants should note that Tata Steel does not accept responsibility for the return of any Entries, including those consisting of artistic or other material. Your entry and any information submitted by you must be personal to and relate specifically to you. You hereby warrant that your Entry and all information which you submit and/or distribute will not infringe the intellectual property, privacy or any other rights of any third party, and will not contain anything which is illegal, libelous, defamatory, obscene, indecent, harassing or threatening. If relevant, Tata Steel reserves the right, but not the obligation, to screen, filter and/or monitor information provided by you and to edit, refuse to distribute or remove the same. By participating in this contest, participant agrees that theentries submitted by him/her may appear in any advertisements / promotions (online/offline/other media channels) of Tata Steel. No fees or other sums (of any nature what so ever)shall be paid to the participants on account of usage of the same in the aforementioned advertisements / promotions/ etc. The contest is valid only for Indian citizens.The contest is not valid in whichever region/state/location of India that prohibits contests/prize led activities whatsoever. Each participant is deemed to have released Tata Steel, Facebook, Twitter and Instagram from any claims and liabilities that may specifically arise in relation to their participation in this offer by accepting these terms and conditions. No correspondence shall be entertained with regard to any aspect of this offer. Tata Steel shall not be responsible for any charges, levies, costs incurred by the participants to participate. Tata Steel shall not be responsible for any claim of any nature whatsoever made by the participants to participate in the event. Tata Steel shall reserve the right to use all data, material etc. received as part of this offer as it may deem fit for its future promotions. Tata Steel does not promote or permit any activity that infringes any third party intellectual property rights including copyright, trademark, designs, patents, etc. and reserves the right to remove/disqualify from contest any participant’s post if such post is found to have violated any third party intellectual property rights. The Participants shall at all times indemnify Tata Steel against all claims (of any nature what so ever) which may be made by any third party in respect of the entries shared/submitted by the participant. 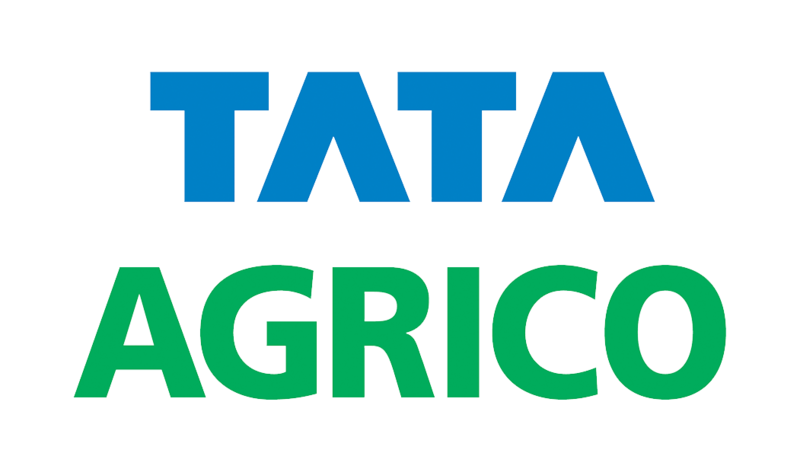 In case any litigation (of any nature whatsoever)/claim is filed against Tata Steel in connection with the entry made by the participant and Tata Steel suffers damages as a result of same.The participant shall be fully responsible for all the consequences arising out of the same and shall indemnifyTata Steel against any costs, losses, charges expenses, demands, damages, cost of such litigation/ claim proceedings etc and the same shall be payable within 15 days of such occurrence . In case of any loss (including but not limited to) the loss of Goodwill of Tata Steel, Tata Steel shall be entitled to claim compensation from the participant. The judgement or decision of Tata Agrico will be final and biding. An Amazon voucher worth Rs.3000/- will be given to the top 2 entries. The Amazon voucher will be mailed to the winners on the email ID shared by them. Easy to pronounce, short & crisp. How closely is the name aligned to the new brand? Tata Steelwill not accept any responsibility for any damage, loss, injury or disappointment suffered by any participant entering the Contest or as a result of accepting any prize. Any dispute arising out of or in relation to this offer shall be subject to the exclusive jurisdiction of the Courts in Kolkata. The Data, Audio, Video, Designs, references, views, Trade Marks, Word Marks, Trade Names etc. (referred as Entry) shared in this contest are solely those of the respective participants in their private capacity and do not any way represent the entry of Tata Steel Limited. Tata Steel Limited assumes no responsibility for the accuracy, content, completeness, legality, or reliability of the entry contained on this website. The material published on this website is not legal advice or other professional advice. Any opinions expressed in this material do not necessarily represent the views of the Tata Steel. Copying/ Using any of the information/ Trade Mark, designs etc. from the website is strictly prohibited and string Legal actions will be taken for such act. In no event shall Tata Steel Limited be liable for any special, direct, indirect, consequential, or incidental damages and/or any damages whatsoever, in connection with the contents of the respective data provider. This site contains links to sites outside www.tatasteel.com. Tata Steel is not responsible for the content of any third-party website to which links are provided from this website. Any links to websites are provided for your information and convenience only. Tata Steel does not endorse or control these websites and cannot guarantee that material on those sites is in all respects accurate, complete and current.
. Neither Tata Steel nor its officers, employees or agents shall be liable for any loss, damage or expense arising out of any access to or use of this site or any site linked to it.